Sent off my 23AndMe to them. Looking forward to results. Great to see growing numbers getting the tests done! This is great work. Let’s keep this up! Got mine today. Will sent it back next week. Any word on the bulk purchase price? 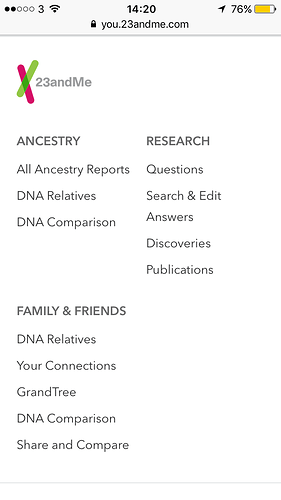 I’m about to order my 23andMe kit. Yes, sorry for delay. 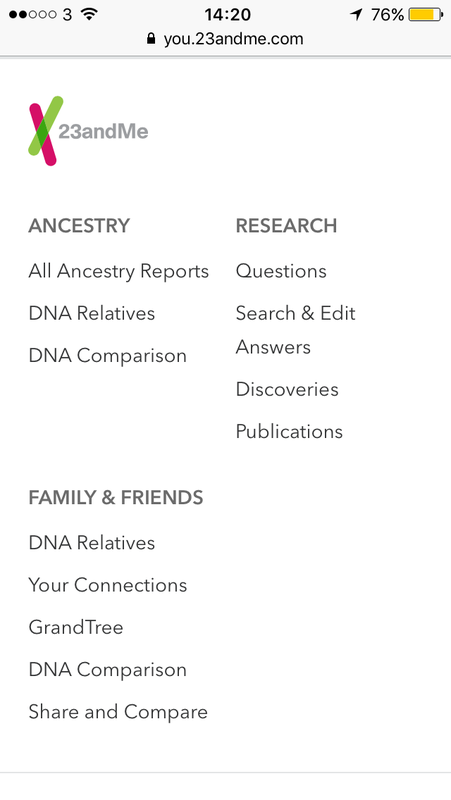 23andMe finally did get back to me on that. I was looking to get a discount code for our project, but they refused that. Bulk orders would probably be possible, but are difficult, because it would entail that the whole order and payment process gets centralized through one of us. That’s a whole lot of admin (plus potentially disclosure of personal data to the administrator) for saving a few bucks. I am not going to further pursue that idea for those reasons. I ordered my kit last week. It was about $100 USD, which seems like a great bargain given what is at stake. It came very quickly and was very easy to use (you spit and seal the tube … and that is pretty much it). I am awaiting the results now and will submit them as soon as I have them. Thank you very much to the people who took the time to put this together. My kit did not arrive. Contacted their customer support and they will send a new one. They replied very quick and did not hesitate to send a new kit. Very pleasant support. 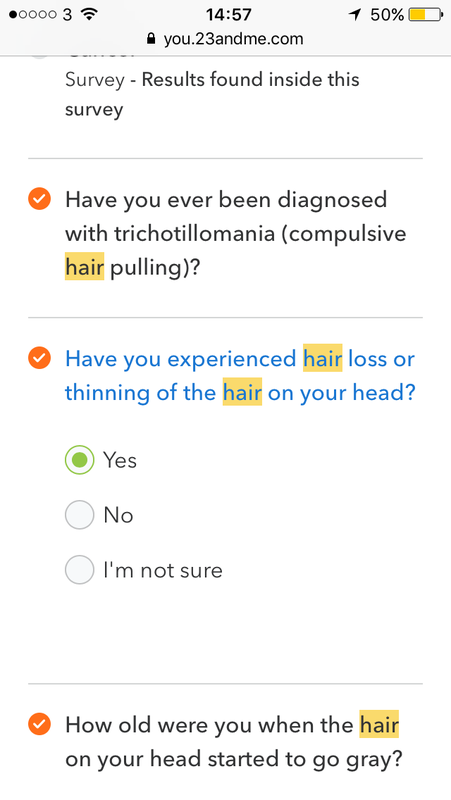 wow… 23 and me kit asked you about using finasteride?? it’s very interesting. 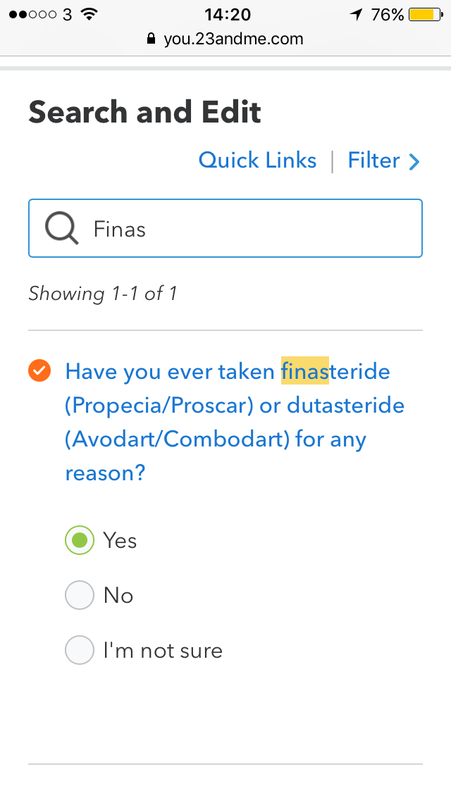 There is a lot of research questions and some of them are bizzare, but the finasteride question stood out. 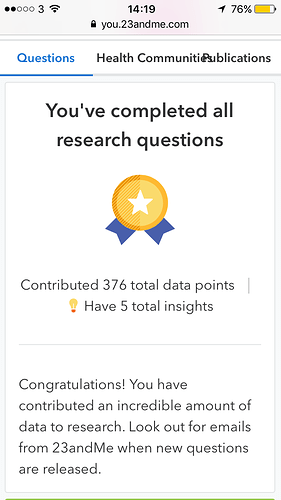 Maybe the foundation could get them to share some of the data. I wonder if the question is to determine baldness or something else. 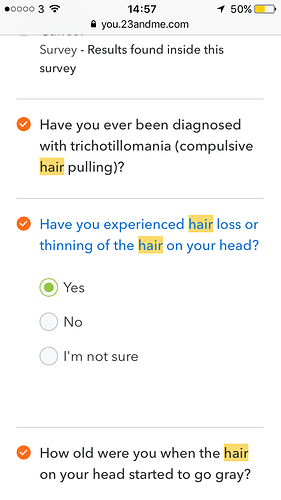 Maybe it does also ask about hair loss in a separate question though. It also says that you can ask them to add in questions. How many kit we need?? more?? The process is very smooth and professional. Customer support has been excellent, the process is well explained and they make everything fairly easy. Everyone can do it! So everbody, please support the research with your sample! 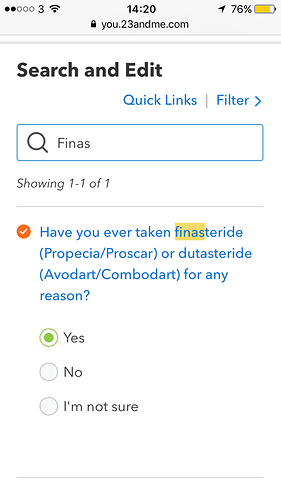 I had to answer a ridiculous amount of questions before the Finasteride question appeared. 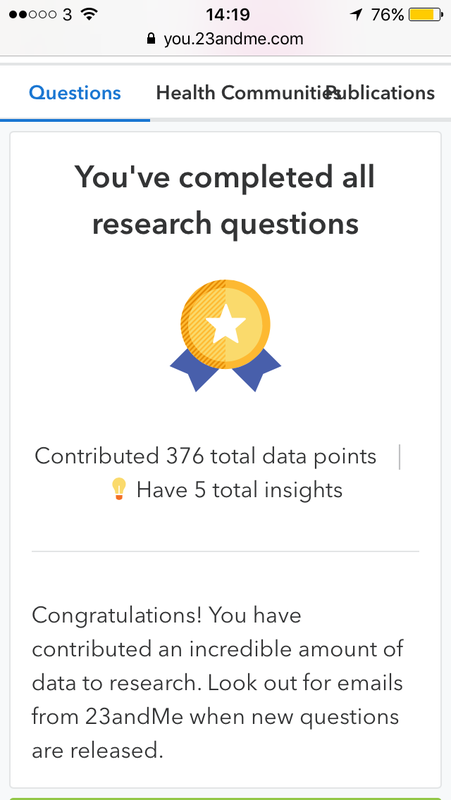 It seems like they have a large questions database and the questions appear more and less random. Thanks for mentioning this. An acquaintance, who had the 23andMe test years ago, mentioned a similar question pertaining to Accutane use. I never saw that question when I filled out my info! Make sense that the Q/A is random to prevent an obscene number of questions.